Two words: Yuca. Frita. It’s the absolute best way start your cassava adventure if you never had it before. That’s how it went down for me anyway. I was in my friends basement playing video games (ahem. Smash Bros.) when his mom came down with a plate of flakey thick-cut fries. I remember thinking how odd they looked, like maybe the potatoes went bad or something. Then I took a bite, and I swear time stopped. My taste buds were brought to an alternate dimension where the French Fry was light and crisp on the outside, but moist and full of nutrients on the inside—like a regular potato and a sweet potato merged into one. If you’re intrigued, you’re in luck, because you can likely find Yuca Frita or Cassava Fries at Latin-American Restaurants. You can also make them yourself! But like all great things, there is in fact a Cassava Catch. A healthier and equally delicious alternative to regular potatoes. 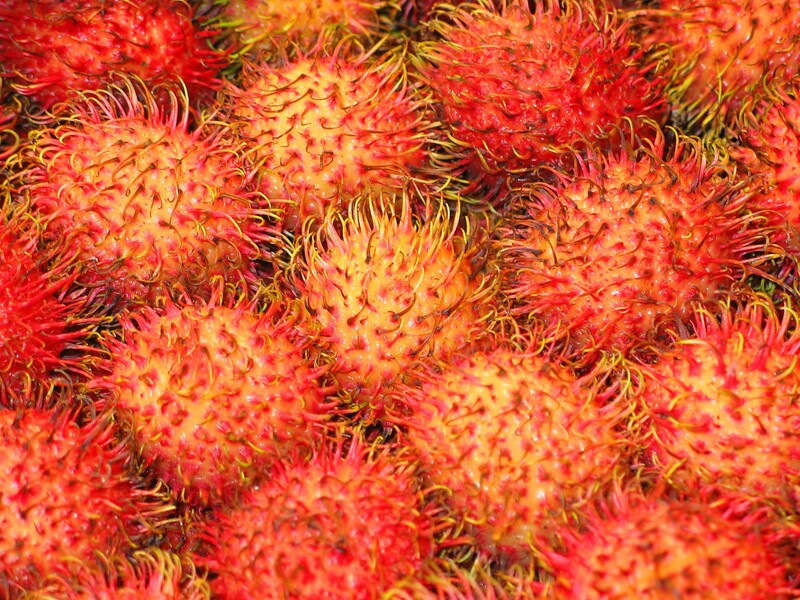 It’s poisonous, but only when eaten raw and in large quantities, which you wouldn’t want to do anyway. Boil it until no longer white in the center. The bitter variety is highly toxic while the sweet variety, which is sold in the US, is not. 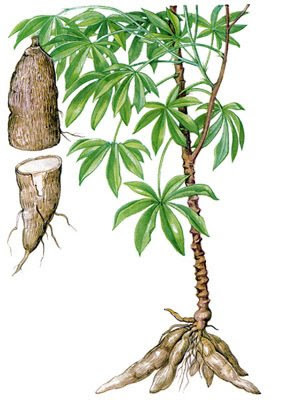 Boiled, baked, or fried, cassava is an all-purpose root. Cassava is imported from far away, so it’s likely you’ll buy a root that’s gone a bit bad. Buy more than you need. You can also cut away the bad the parts and still use the remaining ripe sections. It’s inexpensive! You can buy a pound for less than $1. They have a tough outer skin and inner core, making it difficult to peel and cut into. Use a sharp chefs knife, OR even better, buy it cut, pre-packaged, and frozen (ask your local grocery store if they carry it). Regardless, cassava is something you should try whether in a restaurant or at home. And now that it’s widely available in US grocery stores, you have no excuse! So please, read more below and give it a try. Where: In the produce section of your grocery store near other tubers or exotic produce. If you can’t find it, check Latin or Asian markets. Currently available at Stop&Shop, Walmart, Wegmans, & Whole Foods. Selection: Buy cassava roots with firm, rough, and waxy skin. The interior flesh should be white. Avoid roots with cracks, mold, soft spots, or sour smell. The flesh will have black specks, lines, or discoloration. If you do buy cassava with some black streaks hiding within the flesh, you can cut them out and use what remains. Buy an extra root to compensate, or break off a small piece of the tip at the store and inspect for white flesh. This may sound ill-mannered, but you have every right to ensure you’re buying good quality cassava. If it’s bad, tell an employee and they’ll dispose it. Press your knife at the center of the root, crosswise. Gently roll the cassava back and forth while firmly pressing the knife down. As the knife cuts deeper, rotate the cassava. The root should eventually split in half. Depending on the length of your root, you can can repeat this method on each half. To safely and easily remove the skin, avoid using a vegetable peeler. Cut off the pointed ends then stand the segment up on its end and slice down the edge, just between the pink and white flesh, rotating until completely peeled. In a pot, cover the cassava with 2-inches of water and boil until fork tender and the center is no longer white, about 25-30 minutes. The cassava segments will start to open and fray from the center and easily fall apart. Drain and allow to cool. Then remove the fibrous, woody core. Aggressively, slam your knife into the center of the root, crosswise, then tilt your knife to the side and pry the two halves apart. Repeat this method on each half if necessary. Next, deeply score a line down the skin, lengthwise. The outer brown and pink inner skin should lift from the flesh. If your cassava is ripe enough, you can easily remove the outer skin with your fingers. If the skin sticks, carefully work your knife under and around the skin. Continue to wiggle and press the knife until the skin fully separates. Storage: Whole, unpeeled cassava can be store in a cool, dry place (NOT the fridge) for about 2 – 3 days. Peeled and cut cassava should be placed in cold water and kept in the fridge for up to 4 days, or bagged in the freezer for several months. Uses: Cassava can be used in the same way as potatoes—fried, mashed, roasted, or steamed. However it MUST be boiled first to remove its toxicity (cyanide). What do you know about Cassava?